Audre Lorde, the renowned African-american poet, author and activist, lived from 1984 to 1992 each year for weeks and months in Berlin. Are you interested in the time Audre Lorde shared in Berlin with her comrades and friends? Want to visit the places where she lived, worked and spent her leisure time? All of this you can experience in the Audre Lorde Berlin City Tour – a self-guided digital tour containing photos, videos and sound clips. – to return to the city map: click the X in the upper right hand corner! I had the privilege of getting to know Audre Lorde in 1980 at the World Women’s Conference in Copenhagen. In 1984 she came to Berlin as a guest professor of African American literature and creative writing at the JFK Institute of North American Studies. Until 1992, she spent weeks and months each year in Berlin, often accompanied by her colleague and partner Dr. Gloria I. Joseph. During those years, I and others shared Berlin with Audre and she shared with us her boundless knowledge, wisdom, humor, activism, and love of life. Audre’s life’s journey ended way to soon in 1992 when she lost her long and valiant battle with cancer. Audre had a profound impact on the German Black community and on the white women’s community. She described her time in Berlin as one of the most significant in her life. 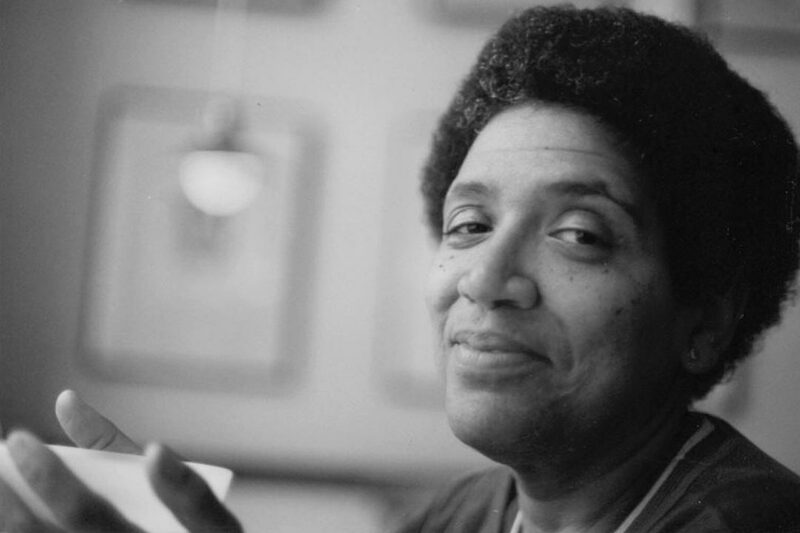 To share this largely unpublicized chapter of Audre’s life, I produced the film “Audre Lorde – The Berlin Years 1984 to 1992” in cooperation with Ria Cheatom, Ika Hügel-Marshall and Aletta von Vietinghoff. The film had its world premiere at the 2012 International Berlin Film Festival. Since then, it has been screened world-wide at 67 festivals, has received seven film awards and is distributed in Europe and the US and Canada. Below you find a link to the website of the film and the trailer. There have been a number of requests by visitors to Berlin asking where Audre lived and spent time, and one person asked whether there was an Audre Lorde City Tour. Now there is and this is it! The places depicted in this City Tour were photographed by me and Ika Hügel-Marshall, another close friend of Audre. Ika was also my colleague at Orlanda Press, the German publisher of Audre’s work. These places will give you an up close look at Audre’s political and personal world. I wrote the text accompanying each site in the City Tour. Aletta von Vietinghoff, editor of the film and of the videos in this tour, chose with me the photos, videos and audios. Bijan Latif developed the concept and design for the City Tour website. The programming was done by Matt Henderson. I am grateful for their cooperation and support in making this project a reality. We welcome your comments and questions on our Contact page. This city tour can also be expanded. If you have information about places where and persons with whom Audre Lorde spent time let us know. Books by Audre Lorde can be bought or ordered in any bookstore.